Earlier this month HEXUS reported upon some issues Windows 10 April 2018 Update installers were having with certain makes and models of SSD. At that time we heard about affected users facing repeated PC crashing or rebooting to the UEFI screen, and Microsoft mentioned that Intel SSDs were particularly affected. 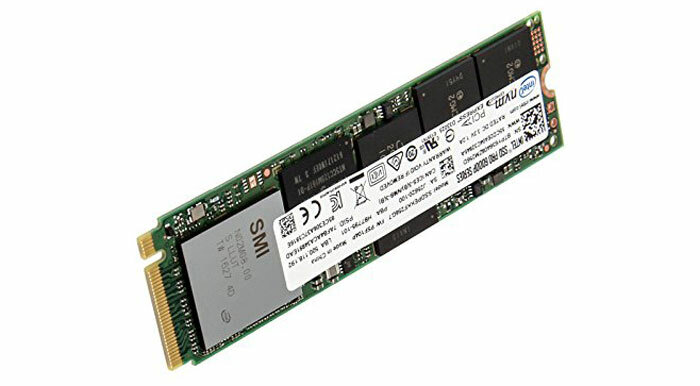 A couple of days later Microsoft updated us to say that the following SSDs were the problematic ones; the Intel SSD 600p Series or Intel SSD Pro 6000p Series. Thus Microsoft was blocking its automatic Windows 10 April 2018 Updates on such machines and recommending to those that download OS installer directly to avoid attempting the update. Microsoft has now issued update KB4100403 for Windows 10 version 1803. If you own one of the above mentioned Intel SSDs it should now be safe to update. From today, Microsoft says you can go to the Settings > Update & security > Windows Update > and click 'Check for updates'. KB4100403 should be offered to you to apply. Then it should be safe to install the Windows 10 April 2018 Update. The KB4100403 release notes mention that Toshiba SSD users had also been suffering ill-effects from the Windows 10 April 2018 Update. Less drastically, select devices with Toshiba XG4 Series, Toshiba XG5 Series, or Toshiba BG3 Series SSDs were sometimes exhibiting degraded battery life. These users can also now go and manually prompt Windows Update to do its stuff via Settings. If you have any of the issues noted above, due to your Intel or Toshiba SSDs, Microsoft still recommends you wait for the update is offered automatically to your device. According to ZDNet there remains an issue with some Dell Alienware devices which come packing a discrete GPU. With the latest version of Windows 10 they may suffer from a black screen after resuming from battery-saver mode. Thus affected Alienware systems are currently being blocked by Microsoft from the Windows 10 April 2018 Update rollout. Caused my Samsung 960 EVO to play up too, dropped the read speeds from 3,000MB/s to 500MB/s and resulted in boot up times being tenfold in length. 5 hours spent repairing and reinstalling windows updates manually is not enjoyable in the slightest.